Each year, hundreds of thousands of motorcycle enthusiasts descend on a small town in South Dakota for the famous Sturgis motorcycle rally. The event, which has been an annual tradition for 75 years, attracts locals as well as those visiting from out of state. The gathering is a lot of fun and provides a great opportunity to meet others with similar interests. Unfortunately, there’s a downside, and that’s the growing number of fatalities and personal injuries suffered as a result of motor vehicle accidents. If you or a family member has been the victim of an accident at the Sturgis motorcycle rally, you’ll need to get the help of an attorney for personal injury cases in South Dakota. 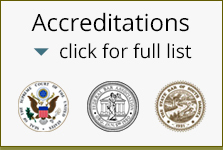 The Rapid City Law Offices of Gregory Yates and Michael Shubeck are a good place to start. They are top personal injury attorneys and can begin by advising you of any rights to restitution that may be owed to you. Because Mr. Yates and Mr. Shubeck have been serving the local population for many decades, they are experts regarding the specific laws of the state. Even if you’ve traveled from another part of the country to attend the rally, you’ll need a personal injury attorney in South Dakota in order to get the best representation. Some of the things a personal injury attorney can do for you are to help you recover money spent on medical expenses and doctor visits. Often times, insurance costs alone will not cover all of these expenses, and you may need to bring a lawsuit to get fully reimbursed. In addition, an excellent personal injury attorney will look ahead and make sure that you are covered for any future lost wages, pain and suffering, and medical costs. If you were injured at Sturgis and are looking for a South Dakota personal injury law firm to help you with your case, please contact Rapid City Law today. Gregory Yates and Michael Shubeck have a reputation for tirelessly representing their clients and making sure that they secure a fair and equitable settlement amount. They’re at your service for everything from simple legal advice to taking a lawsuit to trial. Call today and discover how you can receive full compensation for injuries suffered at the Sturgis motorcycle rally.